We all proudly read the news about the work veterans do protecting our country. However, what often doesn’t make the news is the impact these heroes have on the business world. Check out these statistics which belie their contributions to the startup ecosystem as the nation continues into a new year. 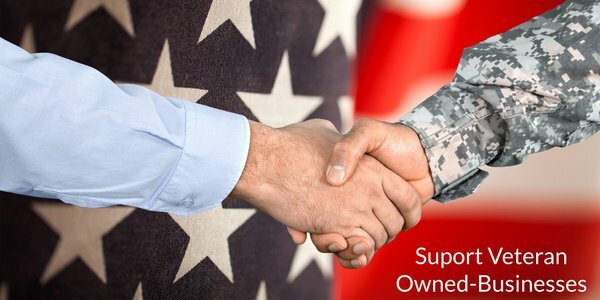 7%: The number of businesses owned by veterans still open after 10 years; according to the Small Business Administration, compared to one-third of all businesses that survive 10 years or more. Founder(s): Yinon Weiss, U.S. Army, Special Forces. Aaron Kletzing, U.S. Army, Field Artillery Officer. Dave Gowel, U.S. Army, Armor Officer. Description: RallyPoint is where warriors come to talk. The network is home to 1 million members who gather online every day to have open and candid conversations about things like: military life, transition to civilian life, careers & jobs, education opportunities, family matters, entertainment, and their favorite brands. Description: Black Rifle Coffee Company (BRCC) is a premium, small batch, roast to order coffee company. Evan Hafer started BRCC after spending 9 years working in the most dangerous regions of the world as a contractor for the CIA. Between deployments to Iraq and Afghanistan, Evan refined his coffee roasting, one batch at a time. Through trial and error, Evan discovered what he felt was the best tasting espresso and drip coffee on the planet. Founder(s): Nick Taranto, US Marine Corps, Infantry. Description: Plated is on a mission to use data and technology to create a world where healthy, affordable, and delicious food is available for everyone. Plated delivers everything you need to cook a chef-designed dinner at home in around 30 minutes. Winning personality traits combine well with military experience despite common misconceptions and stereotypes, these successful veterans aren't wedded to bureaucracy. In fact, they thrive in small groups, having led small teams or platoons throughout their military career. They are flexible, having been plunged into a highly unique environments with pressure cooker situations requiring literal do or die-based skills training. They learn how to be leaders early in their career, know how to execute plans and have the drive and desire to continue to be leaders even after finishing military service. "The lessons learned and lived in military service like leadership, teamwork, competitive spirit, mission-orientation and ambition are the same attributes needed to succeed in business," the National Veteran-Owned Business Association (NaVOBA) says on its website. More veterans are born with winning entrepreneurial personality traits, which combine well with military training and experience. Early leadership training: The armed services teach leadership to all recruits - and provide experiences needed to practice what they've learned. Leadership growth: Many are eager to continue being leaders even after they leave the service. Working with teams: Whether on the battlefield or in strategic planning, veterans are surrounded by teammates, which serves them well when running a business. Knowledge seekers: Veterans are good at seeking knowledge from subordinates and learning iteratively. They review what did and didn’t work after every exercise - something that serves startups well. True doers: Many vets who joined the military after 9/11 were driven, unafraid, and determined to directly confront the biggest challenges of the era. Having elected to shoulder the responsibilities themselves rather than watch or comment from a safe distance, they are the "true doers" of this generation. Best practices: Today’s service men and women are smarter, better trained, equipped, and prepared than at any time in the nation’s history - especially those coming out of the military academies. Doan expands on the reasons and example companies in a recent blog post, Guess Who Just Started the Next Great Company?. 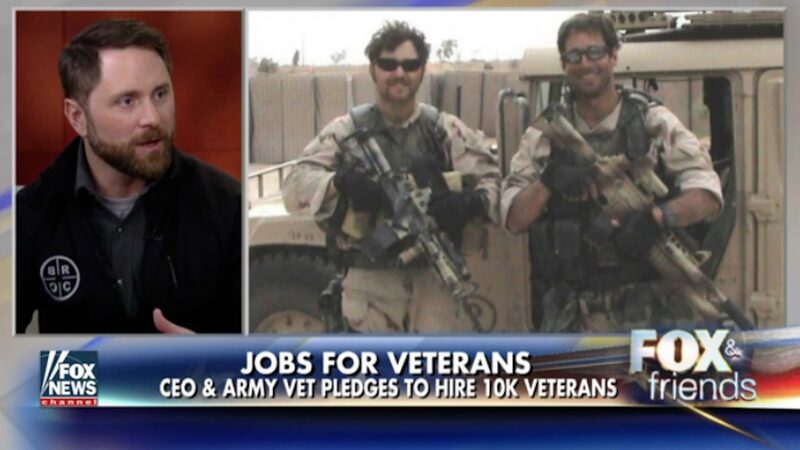 This year lets acknowledge the significant impact veterans are playing in our startup economy. They have the chance to build their financial returns in the process. Here’s to continuing to support our vets and looking forward to their impact in the future.